HFW has added a fifth office in the Middle East, launching in Abu Dhabi after a double-partner hire from US firm Reed Smith. Finance and corporate partners Vince Gordon and Tania de Swart have made the switch, with Gordon previously acting as Reed Smith’s managing partner for the Middle East. Gordon has over 13 years’ experience in the region and specialises in debt capital markets, M&A, joint ventures and project finance among other areas. De Swart also focuses on corporate and commercial work, and has clients from a broad range of sectors such as defence, aviation, construction, hospitality and education. The new Abu Dhabi outpost brings HFW’s Middle East lawyer headcount to 50, including 19 partners. It also brings the firm’s overall international office count to 20. Tamara Box, Reed Smith managing partner, told Legal Business that the firm was very much ‘still on point’ with its Middle East strategy, and pointed to the hire of former Pinsent Masons regional head Sachin Kerur in July. Elsewhere, Morgan Lewis & Bockius has also made a double partner hire in Asia, bringing in corporate partners Motonori ‘Moto’ Araki and Mitsuyoshi ‘Mitsu’ Saito to its Tokyo office. Both partners are transferring from Morrison & Foerster, with Araki being appointed managing partner of the Tokyo hub. It is a happy return for Araki, who was previously a partner at Morgan Lewis until 2007. His practice primarily involves M&A, IP and international dispute resolution. Saito has a similar mix of specialisms, offering corporate, dispute resolution and employment advice to both Japanese and non-Japanese clients. In terms of industry sectors, Saito’s clients typically operate in electronics, IT, chemistry, manufacturing and pharmaceuticals. Withers has also announced a series of hires both in Tokyo and Hong Kong. A total of six partners have joined the firm, with funds partners Koji Yamamoto and Omori Yoshiyuki joining Withers’ Tokyo base from Deloitte. Junko Shiokawa, another funds partner who is joining from offshore firm Harneys, will split her time between Tokyo and Hong Kong. A real estate team led by partners Gerald Fujii, Naoki Ueyama and Steven Wheeler has also joined, with Fuji arriving from White & Case’s Tokyo office. Ueyama and Wheeler respectively arrive from local Japanese firms Masuda & Partners and Kaynex. 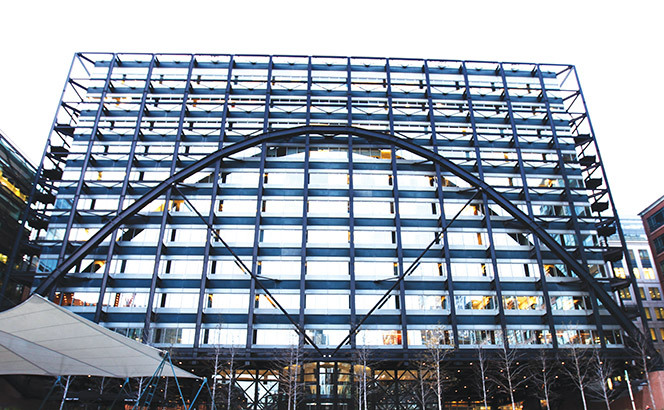 Herbert Smith Freehills’ (HSF) rhetoric of improving corporate capabilities has taken a blow after a trio of transactional partners left for the London office of US firm Morgan, Lewis & Bockius. The departures include HSF’s head of London private equity, Mark Geday, who had been at the firm since 1996, alongside corporate partners Nicholas Moore and Tomasz Wozniak. They will come as a disappointment for HSF, particularly after the firm made concerted efforts to promote the success of its corporate practice over the last year. All three partners have substantial experience working together in both HSF’s London office and its Moscow outpost. They have a strong client book spanning a range of sectors, including asset management, technology, natural resources, TMT and consumer products. HSF unveiled an uninspiring 1% growth in turnover to £926.8m in July, but chief executive Mark Rigotti was keen to highlight the performance of its corporate division. Its transactional team acted on some heavyweight mandates, most notably representing Sky during takeover bids by 21st Century Fox and Comcast, worth £18.5bn and £22bn respectively. After an initial flurry of hires in September there has been a pause for breath, leaving Osborne Clarke (OC) and Morgan, Lewis & Bockius to bring in senior lawyers in the UK in recent days. Pinsent Masons has seen financial services regulation partner Michael Lewis depart for UK top 25 rival OC. After a career which has spanned Norton Rose, Linklaters, Simmons & Simmons and a secondment as policy adviser to the Treasury in 2000/01, Lewis spent six years at Pinsents. OC head of business transactions Greg Leyshon said Lewis would help strengthen the firm’s financial institutions practice. OC has recently been busy expanding globally, with the opening of a new office in Stockholm led by two laterals. The firm also posted one of the strongest set of results in the UK top 100 this year, with revenues up 12%. Pinsents itself has been recruiting proactively this year and has largely retained its partners. Last week it announced the hire of Chris Richardson from Big Four group EY to lead its forensic accounting service. It also took three partners from Gowling WLG to bolster its Munich arm in February and a new head for its corporate practice in the financial sector in January. Elsewhere, Morgan Lewis took former A&O counsel Louise Skinner as a partner, joining the US law firm’s labour and employment team. Practice head Grace Speights cited her focus ‘on the intersection of employment and regulatory issues, especially in the financial services and life sciences sector’, as a ‘great complement’ to the team. Skinner is the latest in a series of City hires for the 1,900-lawyer firm. Earlier this year, Morgan Lewis bolstered its white collar team with two partners from Norton Rose Fulbright’s City base. Global cartel fines have decreased significantly in the first half of 2017 with worldwide fines totalling $1.2bn, on track to be significantly lower than 2016 which counted fines of $7.8bn according to Morgan, Lewis & Bockius’ latest midyear cartel report. Shah said the report did not necessarily represent how busy enforcers are or how many cartels there were. ‘For example, this year we had the re-imposition of the €776m air cargo fine in the EU, which we have not included in this year’s fines. This explains how things can be skewed both ways’ he said. ‘However, our findings show these are getting broader geographically with enforcers worldwide enforcing their laws more widely, despite varying levels of fines’ he added. According to the report, the trend of lower fines figures appeared to be linked to the gradual winding down, particularly in the United States, of major international cartel investigations, including the US Department of Justice’s (DoJ) auto parts investigation. In May, the DoJ charged 65 people and 48 companies and ordered them pay more than $2.9bn in criminal fines. Other recent high-profile cartel sanctions include a €2.9bn fine by the European Commission (EC), the highest fine on record for a price-fixing cartel. In this case, the cartel took place between 1997 and 2011 and included the world’s biggest truck makers. One cartelist, Man, escaped a fine ‘as it revealed the existence of the cartel to the EC,’ the regulator said. All companies acknowledged their involvement and agreed to settle the case. The cartel is the subject of a potential UK £3.9bn competition damages class action application by the Road Haulage Association’s (RHA) to recover damages from truck manufacturers. Similarly, according to the report, actions were taken against a range of international banks in financial services, public and private enforcement. The New York Department of Financial Services and $350m fine imposed on BNP Paribas in May after a US Treasury investigation for illegal, unsafe and unsound conduct in connection with CNP’s foreign exchange trading business, was one case cited in the report. However, according to the report, in 2017 so far, a number of enforcement firsts have occurred around the world, such as the first leniency application granted in India, the EU’s first whistleblower tool to report antitrust violations and the highest Administrative Council for Economic Defense penalty agreed by settlement in Brazil. ‘Authorities are giving greater prominence to whistleblowing programmes and independent own initiative enforcement, and there is speculation of a drop in leniency applications given the complexity of dealing with so many jurisdictions around the world,’ Shah said. The report concluded that firms can expect to see further enforcement in electronic components, pharmaceuticals, and shipping, as well as in a number of domestic cartel investigations around the world, where there is a strong pipeline of cases launched or progressing in 2017. In July, allegations emerged about decades of conspiracy between Volkswagen, BMW and Daimler. The companies were accused of secretly working together on technology to form a cartel that could have led to the emission scandal. The EC said it was investigating the claims, which could result in the car-makers facing multi-billion euro penalties. Morgan Lewis & Bockius’ London office revenue grew 17% in the year ended September 2016, increasing its London revenue last year to £33.9m, up from £29.1m in 2015. The figures were revealed in limited liability partnership (LLP) documents filed in respect of its London and Paris offices. Overall in 2017, the top 20 US law firm reported a global profit per equity partner (PEP) of $1.23bn and global revenues of $1.86bn, with 754 partners globally. Meanwhile, the firm’s Paris revenue remained static at £2.4m this year, compared to 2015/16. The Philadelphia-headquartered firm also grew its partnership from 31 to 39 partners across its London and Paris offices. Last year, the London office hired, among others, finance partners Simon Currie, who joined from Covington & Burling, and Matthew Duncan, Julian Goodman and Paul Matthews from K&L Gates. 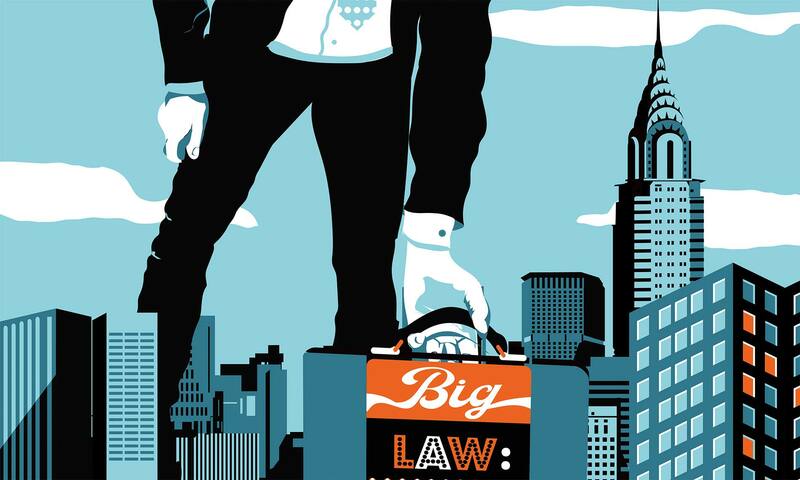 The firm now counts 100 lawyers in its City practice. The UK and Paris results were the outcomes of the second year of activity for the office as a UK LLP. Unlike other top US firms, it converted its London and Paris offices to UK LLPs in 2014, just days after the acquisition of 226 partners and more than 525 other lawyers from Boston-headquartered Bingham McCutchen. Morgan Lewis’ London office, established in 1981, remains one of the smaller of the US firms City offerings in terms of turnover. By comparison, Covington’s City office, founded in a similar period, in 1988, reported UK turnover of $69.5m (approx. £54m) for the calendar year 2016. Murphy, a former Bingham McCutchen antitrust and trade regulation head, said that ‘for all of our European offices, our intention is to continue to invest in talent strategically, but only on a client demand and quality basis.’ The firm also has offices in Frankfurt, Brussels, Paris and Moscow. ‘My focus is really getting on with delivering high quality work and continuing to recruit high quality lawyers. My goal would be not just to keep up with our competitors but to surpass them,’ Murphy said. In particular, Murphy praised the firm’s London office for its very strong performance in antitrust, finance and asset management over the year. 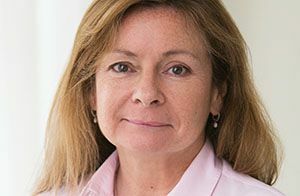 She said standout matters for Morgan Lewis last year included its representation of Sainsbury’s in its damages claim, alongside 14 other retailers, against Visa, for unfairly fixed domestic and cross-border multilateral interchange fees. In 2016, Morgan Lewis was named as a lead advisor, alongside Skadden, Arps, Slate, Meagher & Flom, A&L Goodbody and Arthur Cox, as Japanese company Sumitomo Corporation agreed to buy Irish fruit and vegetable company Fyffes for £639m. In the global spotlight over the last year was the firm’s representation of US president Donald Trump through Washington-based tax partner Sheri Dillon, who reportedly advised the US president to distance himself from his business operations. 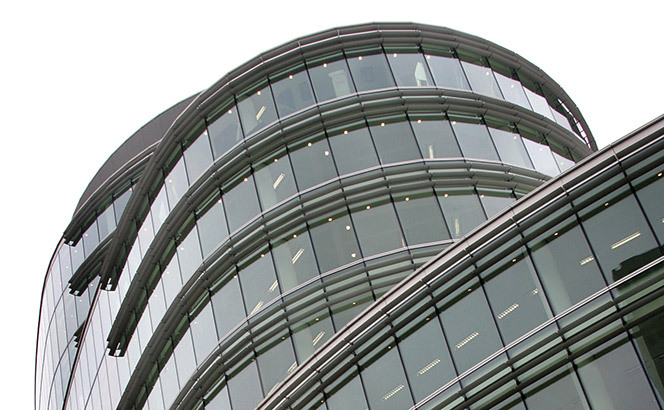 As Legal Business reported last November, Morgan Lewis emerged as a potential buyer for King & Wood Mallesons’ (KWM) European arm, which later went into administration. 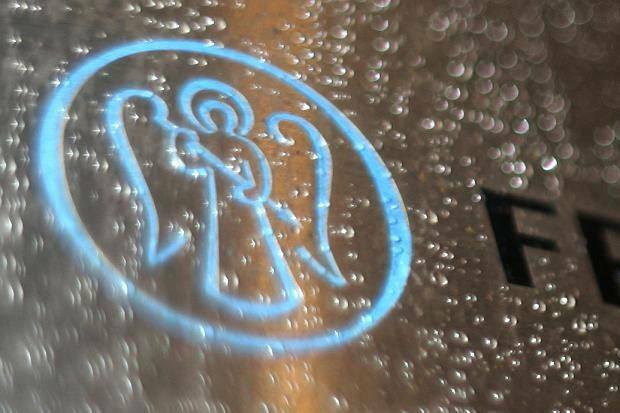 However, the talks were called off a month later, strained by uncertainty over the future of KWM’s European business. Freshfields Bruckhaus Deringer, Slaughter and May, Morgan Lewis & Bockius and Davis Polk & Wardwell all returned to act as co-owner Pearson agreed to sell a further 22% stake in Penguin Random House (PRH) to Germany’s Bertelsmann, with the UK education company aiming to recapitalise the business to generate net proceeds of around $1bn. Bertelsmann said the transaction would give it a total 75% stake in the company, valued at $3.55 billion. Pearson said that deal was designed to strengthen its balance sheet and return £300m of surplus capital to shareholders under a share buyback scheme, retaining a 25% stake in the consumer publisher to generate further income. The firms also led in 2013 when PRH was formed through a £2.4bn tie-up between Pearson’s Penguin Books and Bertelsmann’s Random House, creating the world’s largest book publisher by revenue. The transaction is subject to approval by the relevant authorities and is expected to close in September. Freshfields led for Pearson on all UK matters, with a team including M&A partner Simon Marchant and tax partner Paul Davison, both based in London. Slaughters advised long-standing client Bertelsmann on UK matters, with a team led by M&A partner Craig Cleaver, competition partner John Boyce and tax partner Tony Beare. Davis Polk & Wardwell advised Bertelsmann in the US on its acquisition of its 22% stake from Pearson, led by New York-based partners Michael Davis, Michael Mollerus, and Frank Azzopardi. The Morgan Lewis team advising Pearson in the US included New York and Philadelphia-based M&A partners Charles Engros and Benjamin Wills, and New-York tax partner Richard Zarin. Freshfields, Slaughters, Morgan Lewis and Davis Polk, alongside Cooley, all previously advised on the 2013 deal. Freshfields’ Simon Marchant, Slaughters’ Craig Cleaver and Morgan Lewis’ Benjamin Wills and Charles Engros all led on the transaction at the time. As Pearson reduces its holding in PRH from 47% to 25% to recapitalise its business, German media company Bertelsmann increased its stake in the joint venture from 53% to 75%. Pearson announced earlier this year it would shrink its 47% stake in PRH due to a decline in the FTSE100 company’s revenues, after it issued its fifth profit warning in four years. The $1bn proceeds from this transaction include a planned £300m share buyback to return excess capital. Bertelsmann operates in 50 countries and includes broadcaster RTL Group, Penguin Random House, Gruner + Jahr, BMG, Arvato, Bertelsmann Printing Group, Bertelsmann Education Group and Bertelsmann Investments. Penguin Random House is comprised of 250 individual publishers. Morgan, Lewis & Bockius has hired Norton Rose Fulbright‘s global head of investigations Chris Warren-Smith and litigation partner Melanie Ryan to boost its white collar offering in London. Warren-Smith will pick up a leadership role at Morgan Lewis in its global white collar, corporate investigations, and sanctions practice. The firm will gain his experience advising clients on corruption, fraud, financial crime, and other regulatory and compliance issues. Ryan has represented corporations, financial institutions, professionals, and other clients in corruption and securities investigations with significant experience in corporate and regulatory investigations and related enforcement proceedings. The appointments follow recent partner and team additions to the firm’s practice in China, Dubai, Singapore, and the United States. In March the US firm took on Simmons & Simmons partner K. Lesli Ligorner with an employment and corporate investigations team of four lawyers in Shanghai. The pair are the first white collar lawyers to join the London office and will be joining three other litigation partners. Earlier this month Freshfields Bruckhaus Deringer hired the Serious Fraud Office’s (SFO) joint-head of bribery and corruption Ben Morgan to its corporate crime and global investigations practice. Morgan, who will join the firm’s London office, was seconded to the SFO from Norton Rose Fulbright in 2012. A year later he was promoted to his co-head position reporting to SFO director David Green QC. During his time at the criminal law agency, Morgan has led investigations into Rolls-Royce, Airbus and GlaxoSmithKline. Paul Hastings has also bulked up its corporate crime and investigations offering with the lateral hire of DLA Piper’s tax investigations head Simon Airey. Airey has extensive experience advising clients on global investigations, financial and regulatory crime, bribery and corruption, money laundering, tax and fraud inquiries, dawn raids, corporate compliance, and reputation management issues. He will join the firm’s London office on 2 May. Morgan, Lewis & Bockius has opened a Hong Kong office and broadened out its China offering, taking nine partners from Orrick, Herrington & Sutcliffe. The significant group hire will more than double its existing presence in China with 40 lawyers and legal professionals expected to join Morgan Lewis’s 30 strong headcount in the region. The team, led by Orrick’s former executive committee member and global capital markets head Edwin Luk and the firm’s former head of M&A and private equity Maurice Hoo, will be based across the firm’s offices in Hong Kong, Beijing and Shanghai. The new team will bulk up Morgan Lewis’s capital markets, M&A and private equity capabilities with Beijing and Hong Kong based corporate partner Ning Zhang, Hong Kong based corporate partners June Chan, Connie Cheung and Keith Cheung, and capital markets partners Louise Liu and Billy Wong. Beijing and Shanghai based corporate partner Mathew Lewis is also joining the US firm. Morgan Lewis has filed an application to become a registered foreign law firm in Hong Kong as part of the hires, under the name Luk and Partners. Advisory roles in Sumitomo Corporation’s €751m takeover of Irish banana firm Fyffes have been split between a raft of US and Irish firms including Morgan, Lewis & Bockius, Skadden, Arps, Slate, Meagher & Flom, A&L Goodbody and Arthur Cox. Headquartered in Dublin and with operations in Europe, the US, Canada, Central and South America and Asia, Fyffes’ banana business generates about €1.2bn in revenues each year. Japanese giant Sumitomo has been active in the banana industry since the 1960s and is the market leader in Asia, importing approximately 30% of the bananas into the Japanese market. Morgan Lewis advised Sumitomo with a team led by London banking and finance partner Bruce Johnston, M&A New York partners Bradley Edmister, Harry Robins and Alan Neuwirth and Texas partner Humberto Gonzalez. A&L Goodbody also advised the Japanese firm with a team led by David Widger. Fyffes was represented by Arthur Cox with a team led by Stephen Hegarty with corporate partners Ciaran Bolger and Geoff Moore. Cian Beecher advised on employment aspects while tax partner Ailish Finnerty also worked on the deal. Baker & McKenzie acted for the lenders Sumitomo Mitsui Banking Corporation. While, William Fry and Skadden, Arps, Slate, Meagher & Flom acted for JP Morgan as the financial adviser. 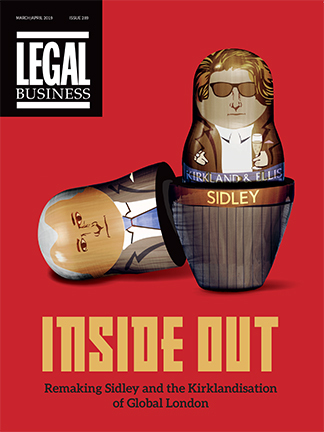 Skadden’s team was led by London office head Mark Darley while William Fry’s team was led by corporate partner Mark Talbot. The acquisition is expected to be completed by the end of Q4 2016. Back in 2014 when Fyffes attempted to merge with Chiquita to create the world’s biggest banana brand, Chiquita was represented by Skadden. Morgan Lewis has also advised Sumitomo in the past, most notably when it acted for subsidiary TBC Corporation for its $310m acquisition of NYSE-listed tyre company Midas. Following a long courtship, merger discussions between King & Wood Mallesons (KWM) and Morgan, Lewis & Bockius have been called off, Legal Business can reveal. A combination between the global giant and Philadelphia-based Morgan Lewis would have created the world’s second biggest firm by turnover, combining KWM’s revenue of $1.02bn with Morgan Lewis’ $1.84bn. Morgan Lewis posted profits per equity partner (PEP) at $1.53m for 2015 while KWM’s stand at $900,000. It understood talks between the firms had been strained in recent weeks following uncertainty over the future of KWM’s European business. Discussions had been led by Morgan Lewis’ chair Jami McKeon opposite global managing partner Stuart Fuller, who has since quit his leadership post. The European and Middle Eastern partnership is currently considering a rescue deal from its Australian and Chinese counterparts after it was forced to halt its recapitalisation plan after the loss of four key partners, including Halford, former managing partner Rob Day and corporate finance partners Andrew Wingfield and Jonathan Pittal. The legacy SJ Berwin practice is carrying more than £30m in debt. While the Asia Pacific arm has agreed to underwrite the debt and has promised minimum earnings for equity partners, the deal includes a year lock-in and salaried partners must also contribute to the recapitalisation. As with the original recapitalisation, equity partners must stump up £14m, with the shortfall to be made up by the Chinese and Australian partnerships. The deal is subject to a vote, of which at least 70 partners (around 60% of the Europe and Middle East partnership) must agree to. The partners have until the week beginning 21 November to agree the deal. In July, 98% of the partnership had voted in favour of the original recapitalisation plan. However, KWM was not the only firm vying for a union with Morgan Lewis, as CMS Cameron McKenna has approached the firm in recent months. A Morgan Lewis partner told this publication that Camerons had indicated that Morgan Lewis was its preferred choice of US suitor. KWM declined to comment while Morgan Lewis did not respond to requests for comment.